Download the latest issue of Impact Newsletter. Read about the vital impact donations have on our hospitals and health care teams. 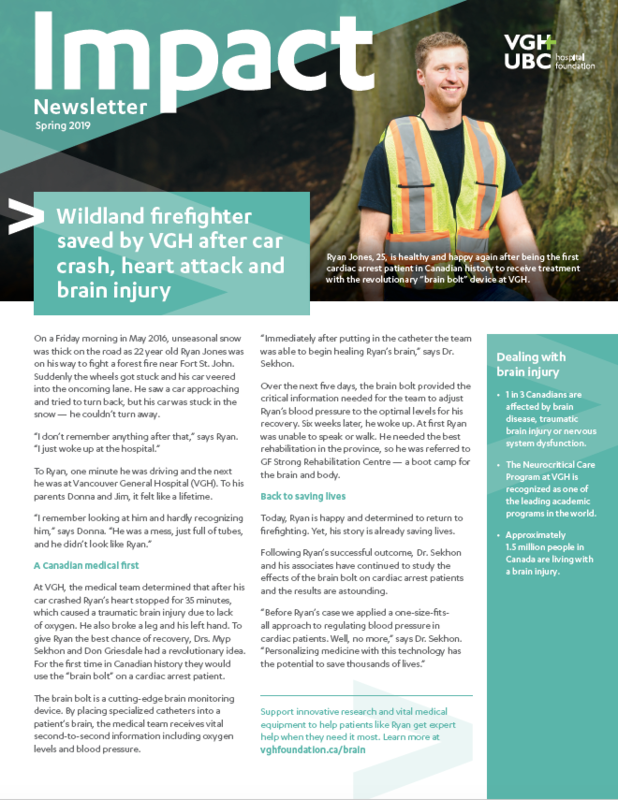 The stories in this newsletter give insight into how VGH & UBC Hospital Foundation partners with generous donors to ensure the people of British Columbia receive the very best in adult health care.